The “Avtovo” metro station in Saint Petersburg. Metro station is located in the southern part of the city, on the “Prospect Stacheck” street. The station was opened in 1955. The station is located at a depth about 12 meters. The “Avtovo” metro station has no escalators. Part of the station columns lined with glass panels. Station underground hall is shown on the photo. 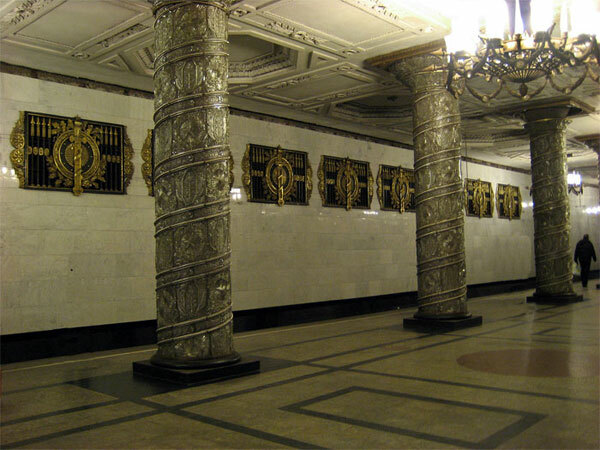 Get more information about metro station Avtovo in St. Petersburg.